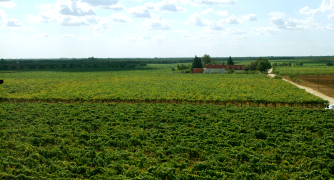 Our Italian vineyard located in Latiano Brindisi (Puglia) with 108 hectares (1.080.000 m2) and almost 5000 and 6000 grapes plant per hectare. 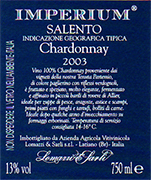 "WHITE WINE CHARDONNAY "Salento" Chardonnay 100% The grapes are picked and carried to the winery on small carts. After crushing and stemming the product is cooled and static settlings takes place The product is left 6 months in Allier oak barriques Alcohol 12,50 % vol. Total acidity 4,70 g/l Total sulphorous dioxide 60 mg/l pH 3,74 matches perfectly with fish soups, creyfish, lobsters and prawns. Dishes with mushrooms and truffles, boiler meat. 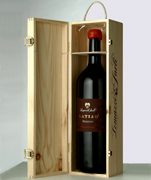 Good with herbal cheese after it has been matured for some years. 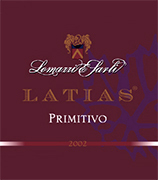 "RED WINE PRIMITIVO" I.G.T. 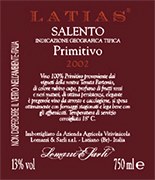 "Salento" grapes Primitivo 100%. 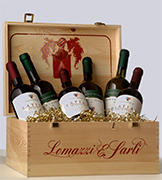 The grapes are picked and carried to the winery on small carts. 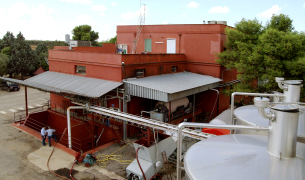 After crushing and stemming the product is introduced into a wine-making tanks for red wine fermentation which lasts 15-16 days under controlled temperature (25°). After racking, fermentation is completed in inox steel tanks of 150 hl. 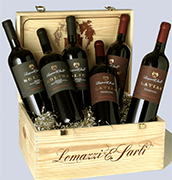 Alcohol 13,00 % vol. 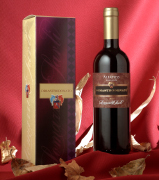 Total acidity 5,75 g/l Total sulphorous dioxide 70 mg/l pH 3,79 A valuable wine, excellent with roasts and games, seasoned cheese and smoked products.